The JH-400B Series Console is an IN-LINE console with all of the circuits needed for one complete MIKE CHANNEL and one complete REMIX CHANNEL in each I/O module. Therefore the number of input/output channels is completely flexible. Any number of I/O modules—up to the maximum for each frame—may be operated in any console. If additional channels are needed, they may be added by simply plugging in new I/O modules. A proprietary Op-Amp, custom designed for optimum Audio performance is used throughout the console. In critical stages this Op-Amp drives a complementary pair of transistors in an output configuration which produces a complete Audio amplifier with very low impedance, low distortion, unusually good transient response and high drive capability. This proprietary Op-Amp allows all of the internal circuits in the JH-400B consoles to operate at OdBv instead of the usual -6dBv. Its larger voltage swing allows more headroom than most consoles in spite of the higher program level. With a program level 6db above the usual level, the signal-to-noise ratio is improved and the RF rejection on all summing buses is improved by 6db. 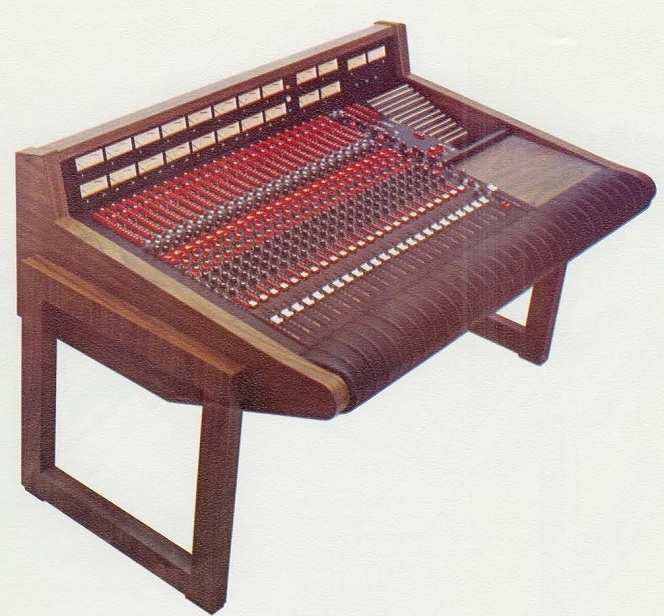 The JH-400B Series Consoles are	supplied in two frame sizes—the JH-428B and the JH-440B. 3. A CONTROL ROOM MONITOR module. 4. A STUDIO MONITOR module. 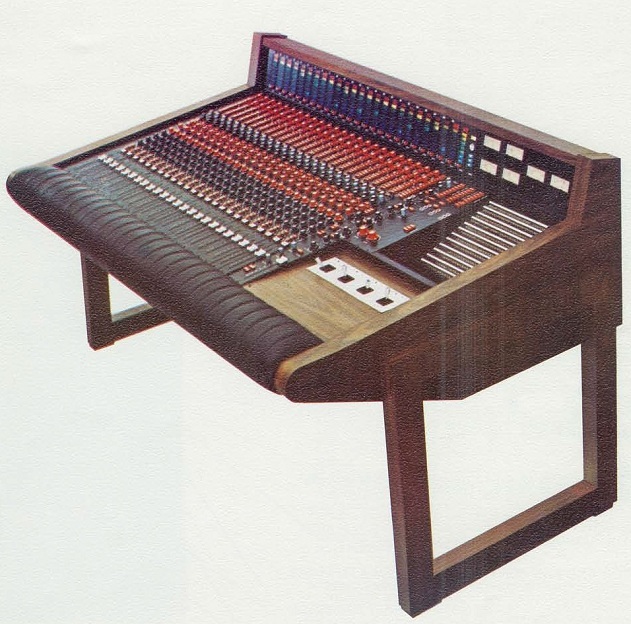 The JH-440B Console is wired and tested	for up to 40 I/O modules with the same complement of Console Control modules. 1. Twenty-four output buses are provided. 2. Five	Echo Return circuits are provided. Four	of these circuits have full quad	panning, and the fifth has full channel assignment capabilities. 3. Three Console Programming buttons are provided, which switch all I/O	modules	into MIKE mode,	TAPE mode, or REMIX mode. All of the above outputs are available simultaneously. 5. "Variable Q" EQ circuits on each I/O module. The center frequencies of the filters and the rolloff points of Shelf circuits are musically related to each other. A sufficient number of switch points is provided to allow selection of the exact amount of EQ required. Switches used for all circuits allow EXACT reproduction of any EQ previously used. 6. The JH-400B Consoles are NOT Automation ready, since they do not have the VCAs incorporated into the basic design. However, they have been mechanically designed for easy installation of the necessary Fader Packages. Automation is easy to Install. -Photos and foundational text courtesy of Larry Lamoray and Carla Harned, of MCI. 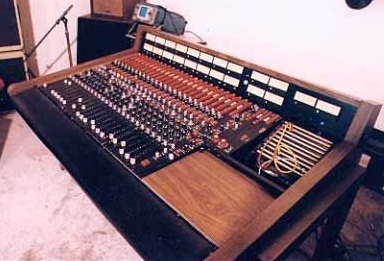 MCI JH-400 Series Recording Console. 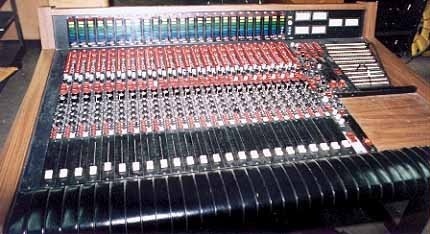 MCI JH-416LM Series Recording Console. 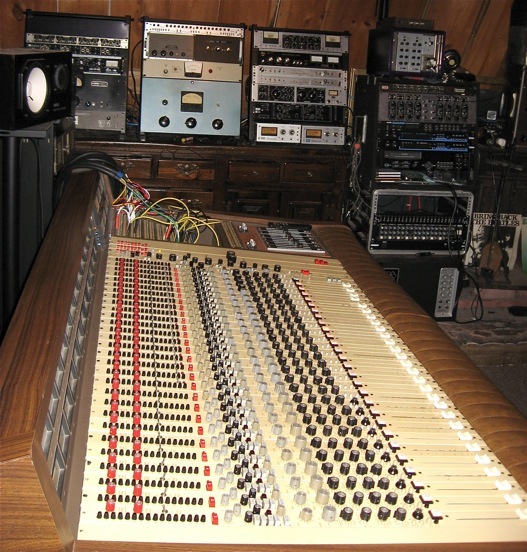 MCI JH-416VU Series Recording Console. MCI JH-428 at Poly Sound. MCI JH-428 at Austin Music Studios. 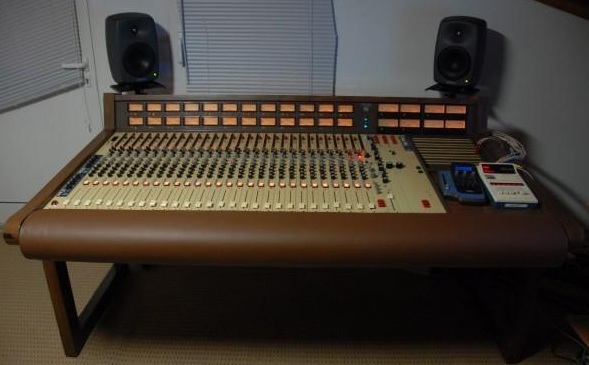 Do you have content, to add, about the MCI JH-400 Series Console or associated topics? Please feel free to Share it, here!